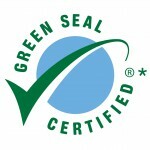 Green Seal works with manufacturers at all levels to “green” the production and purchasing chain. They utilize a life-cycle approach by evaluating a product or service beginning with material extraction, continuing with manufacturing and ending with recycling and disposal. Products only become Green Seal certified after rigorous testing and evaluation, including on-site plant visits. 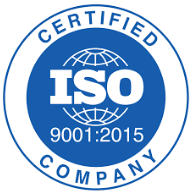 Green Seal certified means that the product has been tested according to science-based procedures, that it works as well or better than others in its class and that it has been evaluated without bias or conflict of interest. The Green “Seal of Approval” has come to stand for reliability, fairness and integrity. 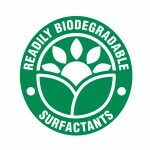 The Readily Biodegradable Surfactants symbol reflects that the product incorporates biodegradable surfactants, replacing alkylphenol ethoxylates (APEO’s). APEO’s are non-ionic surfactants with an emulsifying and dispersing action, which makes them suitable for a very large variety of applications. Surfactants are used in a variety of applications including fabric cleaners, hard surface cleaners, and other detergent formulations. Many surfactants give rise to environmental concerns due to their poor biodegradability, their toxicity and their potential to act as endocrine disrupters. 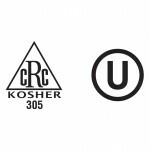 Kosher certification of any food chemical or product requires a partnership with a respected rabbi through the Chicago Rabbinical Council or the Union of Orthodox Jewish Congregations of America. The rabbi acts as the guide for the manner in which kosher products are made, and is the only one who can issue an official kosher certificate. 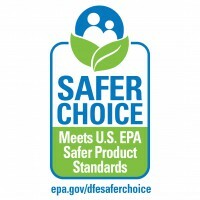 The Safer Choice Program, formerly known as the Design for the Environment (DfE) Safer Product Labeling Program, was developed in 1997 and draws upon chemical and environmental expertise from across EPA. The Safer Choice label helps identify products with safer chemical ingredients, without sacrificing quality or performance. When you see a product with the Safer Choice label, it means that every ingredient in the product has been evaluated by EPA scientists. Only the safest ingredients are allowed in products with the Safer Choice label. The Ozone-Friendly symbol on a product means that it can be used in a laundry machine with an ozone system. 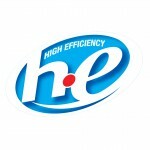 HE detergents are formulated to be low-sudsing and quick-dispersing to get the best cleaning performance with HE washers. 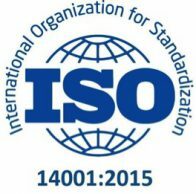 NSF certification is not a one-time event, but involves regular on-site inspections of manufacturing facilities and regular re-testing of products to ensure that they continue to meet the same high standards required to maintain certification over time. 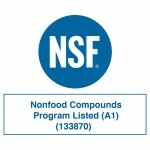 If for any reason a product fails to meet one or more certification criteria, NSF will take enforcement actions to protect you, including product recall, public notification or de-certification.